What happened to your nose, Mr Sphinx? Our tour guide explains that Napoleon shot off the nose of the Sphinx during the French campaign in Egypt (1798-1801). I had heard this before and was not surprised. The nose was in the Louvre in Paris, so the story made sense. However, like many good stories, it was not true. 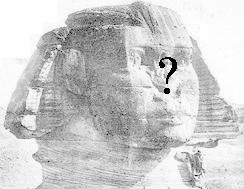 There are numerous drawings of the Sphinx from hundreds of years before Napoleon showed up that have the nose missing. And this lead us on an internet chase as to what had happened to the nose. Wikipedia attributes the loss of the nose to a 14th century Sufi Muslim, who upon finding the peasants making offerings to the Sphinx in the hope of increasing their harvest, was so outraged that he destroyed the nose, and was hung for vandalism. But then goes on to say a citation is needed. I prefer to blame the megalomaniacal dictator instead of the individual Sufi saboteur. no theories on what happened to the nose but whoa….look where you are! Cool! Hugs from NZ. 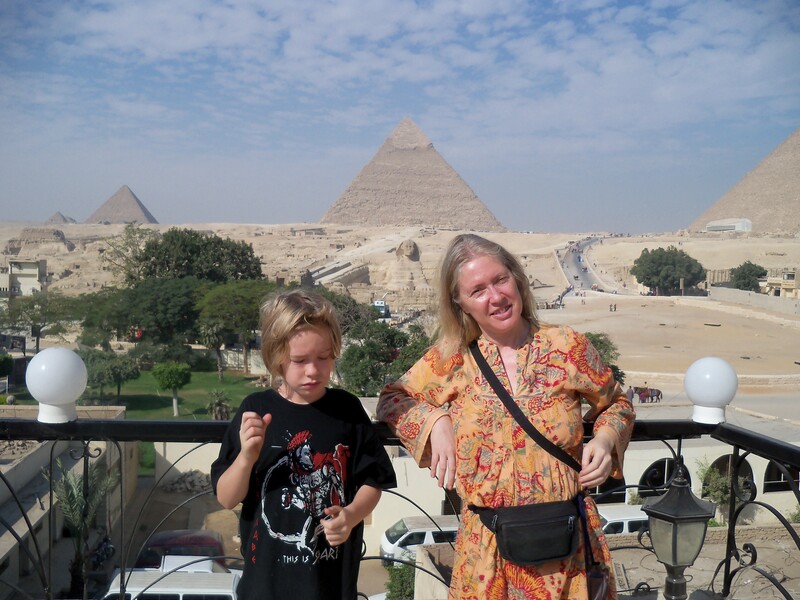 Well just look at the deterioration on the pyramid behind you! The nose probably just wore off over time. Those ancient Egyptians could NOT build to last! Actually, Keenan, what is pretty clear from the chisel marks and exposed support structures is the nose was knocked off.